At our Washington Court House Toyota dealership, we will help you get approved for a used car loan in minutes. 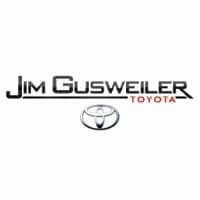 Our diligent and experienced staff is committed to making your purchase of a used Toyota in Ohio as easy as possible. They will make used car financing straightforward and painless, getting you on the road in no time! We understand that our customers are as different as our products, so we aim to provide financing options that are custom-tailored for their individual needs. Prices – Prices do not include charges for sales tax, license fees, document preparation charges ($250.00), smog fees, disposition fees or charges for excess wear and tear. 201D Financing – Pre-approval based on lender criteria, not all customers will qualify. Special offers are time sensitive and may be limited to specified vehicles. Products – Graphics are representational only. All photos may not depict actual vehicles and option packages selected by customers. All photos depict model type only. Actual vehicles and option packages will depend on the menu options selected by customers.